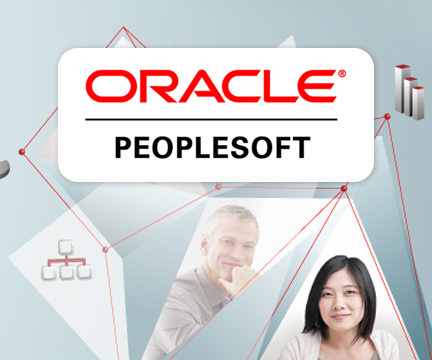 The Oracle/Peoplsoft Integration allows you to update candidate, job, and employee information between the two platforms through a few different methods. User Integration: SmartRecruiters makes it easy to automatically update your users in SmartRecruiters based on activities in Oracle/Peoplsoft. When a new team member joins they have an account created for them in SmartRecruiters, and when they leave they are deactivated from the platform. Additionally, if a user changes roles, their security settings in SmartRecruiters are automatically updated. Position Integration: Through our robust Job API, SmartRecruiters allows for newly opened and approved requisitions in Oracle/Peoplsoft to be created and assigned to the appropriate hiring teams in real-time. Core configuration Integration: Core HR data updated in Oracle/Peoplsoft can easily be created, updated, and removed from SmartRecruiters to ensure data constancy across both systems. New Hire Integration: This candidate integration allows you to seamlessly kick off the onboarding process in Oracle/Peoplsoft once someone is marked as hired in SmartRecruiters. Once you move your new employee to “hired” the integration sends the candidate, job, and offer information to Oracle/Peoplsoft for further action. All these integrations can customized by company based on Oracle/Peoplsoft version and configuration and are available to SmartRecruiters Corporate plan clients. To start this process, login into your SmartRecruiters account and Contact Us to request more info.